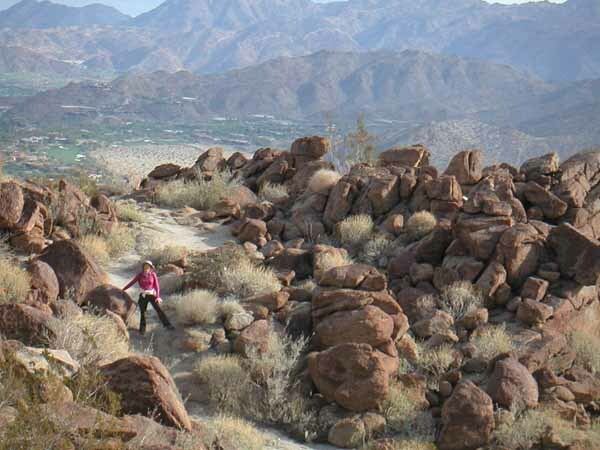 Henry stitched together this photo of the Coachella Valley from our favorite “lunch rock”. It is a steep one and a half mile hike on the Art Smith Trail but great views as well as nice rocks and cactus. We have seen lots of hummingbirds. The trail also allows views of some of the great homes in the BigHorn development and golf course. Notice how green the valley is from all the irrigation. 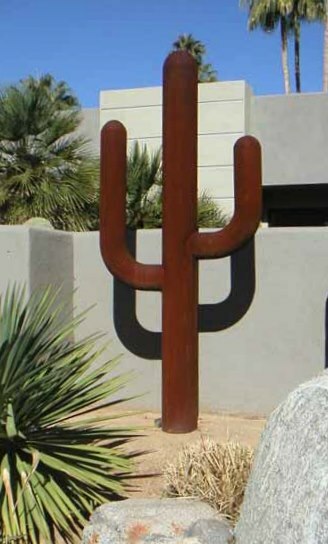 Normally this part of the Sonoran Desert only gets about 8″ of rain – much less than Denver’s average of 14″. So I am getting new ideas for xeric landscaping from our hikes.Â There are 5 groves of palms on this hike – not on the San Andreas fault but another fault: Technically we are on the Pacific Plate not the North American Plate. On Christmas morning we took this scenic hike looking for the Big Horn Sheep but didn’t have the pleasure to see them. This trail is only open October through December: the rest of the year the sheep are breeding and raising their young. 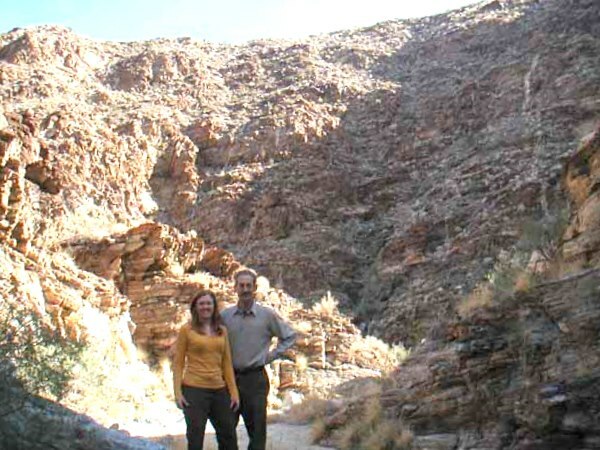 We explored both the Carrizo Canyon and the Indian Canyon – beautiful hikes. This entry was posted in California, Hiking, National Parks, Palm Springs. Bookmark the permalink.